What you carry in the boats tool kit will be useful for many boat repairs, but you might want to add some more tools to the list. Shackles have been known to break and also useful for emergency repairs to the rig. You can never have too many ropes on board but always useful is a tow rope and spare mooring ropes. Mainly for sail boats if the rig should come down. Essential and have it ready for use. Again essential and the rechargeable type can be a better option. Have close at hand for night sailing. For emergency repairs on wood and fibreglass. For sailboats where blocks may fail or where you want to experiment with new sheet leads. For sailboats and the most important spare will be first winch handles and then what the manufacturer might recommend. 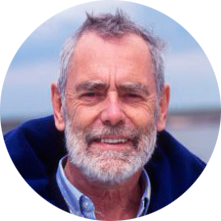 Dag Pike began his career as a merchant captain, went on to test lifeboats, and took up fast boat navigation, winning a string of trophies for powerboat races around the world, including navigating Richard Branson’s Virgin Atlantic Challenger on the record-breaking fastest Atlantic crossing by powerboat.